Bernice "Myrna" Lanford, age 82, of Ogallala, passed away, Wednesday, January 23, 2019 in her home. Myrna was born on June 18, 1936 to Joseph and Bernice (Romero) Apodaca at Brighton, CO.
She received her education in the Denver Public Schools and attended Community College in Denver, CO for 1 year. Myrna was united in married to Joe Lanford on November 5, 1955 in Denver. The couple resided there, until moving to Ogallala in 1974. She was a busy homemaker, raising their children. Myrna also worked in the meat department for Sixth Street Food Store, and was also employed at the McCook Community Hospital. 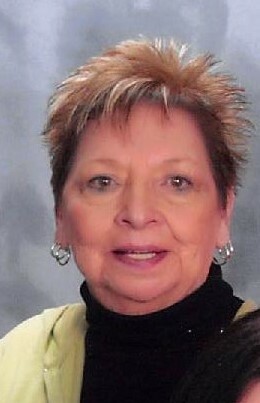 Myrna was a member of the St. Luke's Catholic Church in Ogallala. Her hobbies included; gardening, sewing and crafts. She is preceded in death by; her husband; her parents; 1 son, Christopher Lanford; 3 sisters; Linda Taylor, Emma Lucero, Grace Apodaca; and 3 brothers; Ralph Apodaca, Adrian Apodaca, and John Apodaca. Myrna is survived by; 4 daughters; Joette (Enrique) Garcia, of San Antonio, TX; Debra (Mark) Helmuth, of Greeley, CO; Sharen (John) Carreras, of Longmont, CO; Karen (John) Torres, of Lincoln, NE; 1 son, Ruben Lanford, of Fremont, NE; 3 sisters; Cecilia Apodaca, Elizabeth Garcia and Susan Apodaca, all of Denver; 4 brothers; Melvin, Dave, William, and Gerald Apodaca, all of Denver; 19 grandchildren, and 37 great-grandchildren. The family has chosen cremation. A private family committal will be held at a later date.